NEUQUEN (Patagonia Argentina), 02 March 2018 – The 2018 MXGP season has completed its first pair of events in the beautiful Patagonia Argentina. Taking place early Friday afternoon was the opening press conference for the new season. 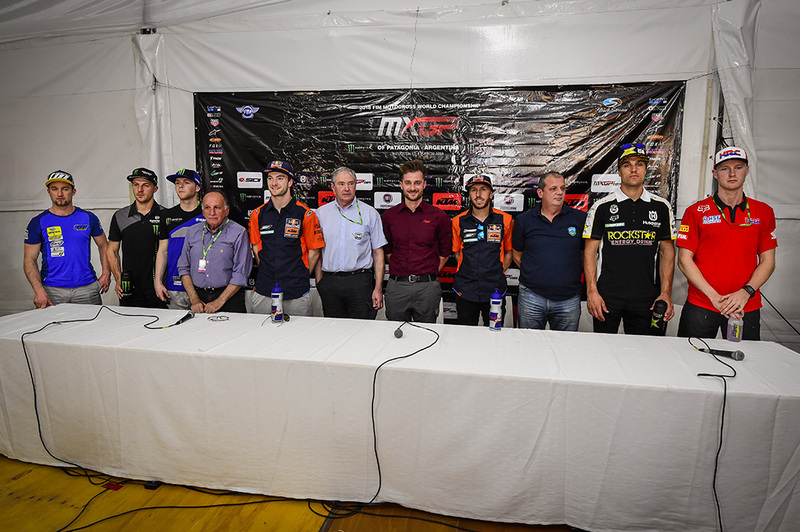 This press conference gave important info to both national and international media, a handful of riders, as well as several teams. Youthstream proudly shared interesting and impressive statistics from the 2017 season which showed the growth that the world championship has achieved. Digital media was highlighted as an important tool for its role in the MXGP championship’s continued growth and success along with the expanded television coverage for the upcoming season. Taking the stage was Youthstream Vice President, Mr. David Luongo who was joined by FIM/CMS Director, Mr. Tony Skillington, Local Organizer, Mr. David Eli, and Major of Villa La Angostura, Mr. Gullermo Caruso alongside some of the biggest names for this year’s racing season: Red Bull KTM Factory Racing’s Antonio Cairoli and Jeffrey Herlings, Monster Energy Yamaha Factory MXGP’s Romain Febvre, Monster Energy Kawasaki Racing Team’s Clement Desalle, Rockstar Energy Husqvarna Factory Racing’s Gautier Paulin, TM Racing’s Max Nagl, and Team HRC’s Calvin Vlaanderen. Later Friday afternoon another event was held in the neighboring city center of Villa La Angostura where the riders were introduced to fans following live music on stage. Directly after the presentation an autograph session took place with Red Bull KTM Factory Racing’s Antonio Cairoli, Jeffrey Herlings, Jorge Prado, Pauls Jonass, and Glenn Coldenhoff, Monster Energy Kawasaki Factory Racing’s Clement Desalle and Julien Lieber, Bike IT DRT Kawasaki’s Tommy Searle and Darian Sanayei, Team HRC’s Calvin Vlaanderen, Rockstar Energy Husqvarna Factory Racing’s Max Anstie, Thomas Kjer Olsen and Thomas Covington, Wilvo Yamaha MXGP’s Jeremy Seewer and Shaun Simpson, Kemea Yamaha Official MX2 Team’s Vsevolod Brylyakov, Ben Watson, and Jago Geerts, TM Racing’s Max Nagl and Samuele Bernardini, I Fly JK Racing’s Ivo Monticelli, and F&H Racing’s Adam Sterry and Jed Beaton, Team Martin Racing Honda’s Michele Cervellin alongside the many enthusiastic and loving Argentinian fans. 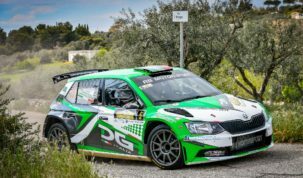 Next Post RALLY DEL PIZZOCCHERO, UNA NEW ENTRY DA LECCARSI I BAFFI!